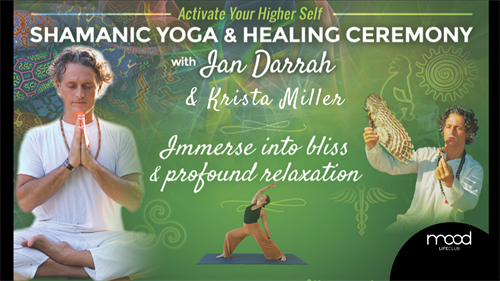 Ian Darrah, a teacher of teachers, a knowledgeable and powerful carrier of the yogic and shamanic wisdom tradition, is on a mission to help others in their journey to awaken consciousness. Using his training and experience in ?tness, health, yoga and shamanism, Ian inspires and nurtures others to become successful teachers, lead healthier and happier lives and be shining examples of kindness and true wellness. Ian is an E-RYT 500, experienced yoga teacher registered with the Yoga Alliance. 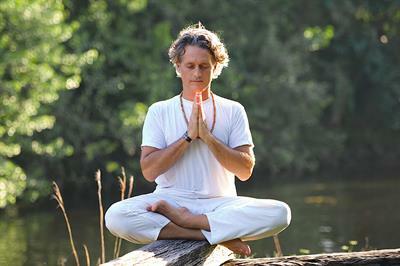 He is well versed in Buddhist meditation techniques, and has trained with master teachers in Vinyasa, Ashtanga, Satyananda and Sivananda as well as with master shamans. He shares his passion to support others on their path towards healing, peace, well-being and higher consciousness through public and private classes, lectures, presentations, workshops, circles and ceremonies throughout the world. His classes are full of experiential activities and inspiring content. Through various holistic approaches, Ian helps you explore different perspectives to develop your inner voice and ?nd your own center in a safe and welcoming environment. He is a kind, devoted, joyous and gentle teacher who credits his students, Swami Brahmavidyananda, the Master Teacher Plants, and the Medicine men/women and shamans for expanding his potential and guiding his own path. Krista Miller, always had a strong passion for the way in which the body moves, its ability to heal itself, and the importance of the mind-body-spirit connection. Krista was a Professional Modern Dancer and completed her first 200 hour Yoga Teacher Training with Edwin Bergman through Yogaworks. Since then she has completed two other Teacher Trainings in Miami with Rina Jackubowicz and Ian Darrah. She is also certified in Kids Yoga and completed a Vinyasa Teacher Training Intensive with Seane Corn, as well as a Yoga for Athletes Intensive with Sid McNairy. She fell in love with the practice of yoga when she discovered the beauty of connecting both the physical and spiritual energies along with the breath and the joy it created in her own life. Now Krista enjoys sharing what she has learned with her students by guiding them through proper alignment, breath-motion awareness, and enhancing their ability to discover inner peace and passion through the freedom of movement and stillness of the mind. Krista strongly believes that within the practice and power of letting go of that which no longer serves us, we can begin to connect to the light that shines within us all.